Spring is here again and this is the time when many homeowners and others plan spring cleaning projects. 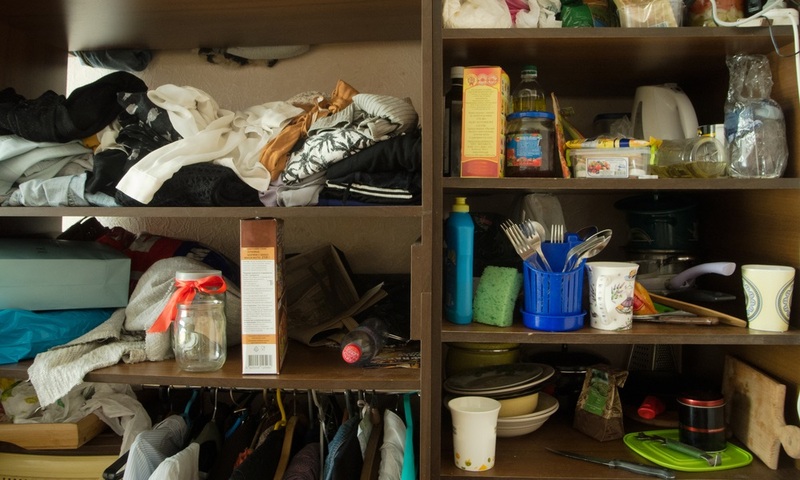 With the weather warming up, the days are longer, and the kids are still in school, spring lends itself to a major clean out and re-organizing for the new year. But spring is also a great time to clean out your offices, workplace and shop areas. Another thing that businesses have in common with households is the penchant for accumulating junk. If your workplace consists of a number of offices, or maybe even shops and warehouses, that can mean that there is quite a bit of things that you need to get rid of. Often, this includes items that have gotten too old or have broken down, such as worn out or outdated office furniture and equipment. Large items need to be removed since they are likely just taking up valuable space or getting in the way. In addition to old furniture and other equipment, you likely have piles of old electronics and computer equipment that need to be properly disposed of. Does your company takes care of it's own landscaping? If so, that means might also generate piles of organic waste and landscape debris as part of your spring cleaning efforts. This, too, will need to be cleaned up and hauled away. While you may not be considering it this year, it's also possible that your company is going to have some minor renovations made to some shops or offices. Again, just like the junk and trash that comes out of your offices, that's more junk and debris that will need to go. The upside of all your company's "spring cleaning" efforts is that it can create improved work areas, greater workplace safety as a result of the reduction in clutter, and possibly even an improvement in the morale among your staff! The only real downside is that you'll end up with piles of old furniture, equipment, junk and other debris that will need to be hauled off and properly disposed of. And that means you do it yourself or find a feasible alternative. If you are a business owner, or a manager in your company, getting rid of office junk is not high on your list of priorities. In fact, you probably have far more important things to be working on than dealing with the task of commercial junk hauling. It's quite likely that cleaning the company premises and then dumping all the junk is not in your job description. So, why should you be thinking about how you're going to get it done? “You might say it's just one time a year so it's no big deal. Perhaps, but there are some real disadvantages to hauling your own company’s waste and trash. ON top of all that there are the associated costs with removing, hauling and disposing of your commercial junk, This can include any dumping fees, old television and CRT monitor disposal fees, and the hassle of dealing with any potential hazardous waste materials. The bottom line (and it does impact the 'bottom line') is that proper commercial junk removal involves much more than simply "tossing it all in a truck" and taking it to the dump. In most cases involving businesses, it's usually true that you can “do it yourself” but that's not always feasible. In fact, if it were an easy decision to do so you probably wouldn't be here reading this. The truth is that it's likely a real burden on your available time and resources. It makes more sense logistically, then, to outsource the job. So what are your outsourcing options? First, you can hire a local guy with a truck. This might seem like a good deal, but it can easily turn into an unexpected liability issue. Because you are likely dealing with an uninsured individual that's not bonded either, it's never a good idea to place your company at risk since, should the job go badly, you may be on the hook for damage and other possible costs. On the other hand, you can go with a professional team by hiring a specialty commercial junk hauling firm. Having a team of experts your workplace assures that the job will be done quickly, efficiently, and completely. You don't need to use company vehicles or rent commercial trucks yourself. And you won’t have to deal with any municipal landfill dumping fees, or have to wait in line at the dump. With a professional junk hauling firm like Junk King, for example, you also have the advantage of sharing in our eco-friendly approach. Because the recycling and repurposing of appropriate items will be taken care of for you, you can have the satisfaction of being a “good corporate citizen” without dealing with the logistics and details of where to take which items, and so on. With our competent and well-trained team, Junk King will ensure that every item that can and should be recycled is taken care of accordingly. Once you decide to outsource the trash and junk hauling part of your office spring cleaning job, you need to decide which firm is the right one for the job, and you can rest assured that Junk King really is the firm of choice. 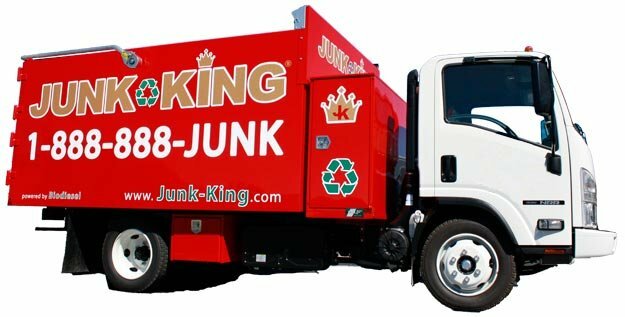 Junk King provides an efficient, safe and eco-friendly office junk removal services so you don’t need to worry about the pick up or disposal of the debris after the task is complete. Whether you need our services several times during your cleaning project, or just once after it is complete, our hauling professionals will ensure that your business junk is out of your way so that you can get on with your work. Our team specializes in commercial junk removal. We can be at your workplace in mere minutes, so call us today! Our crew is fully insured and well-trained, so you can trust them to get rid of your unwanted items in a professional and courteous fashion. One of the best things about hiring Junk King is that we recycle a much of the material we pick-up. This is proof of our commitment to being an eco-friendly removal service. If you have questions about what we do or what we believe, give us a call at 1-888-888-JUNK (5865).